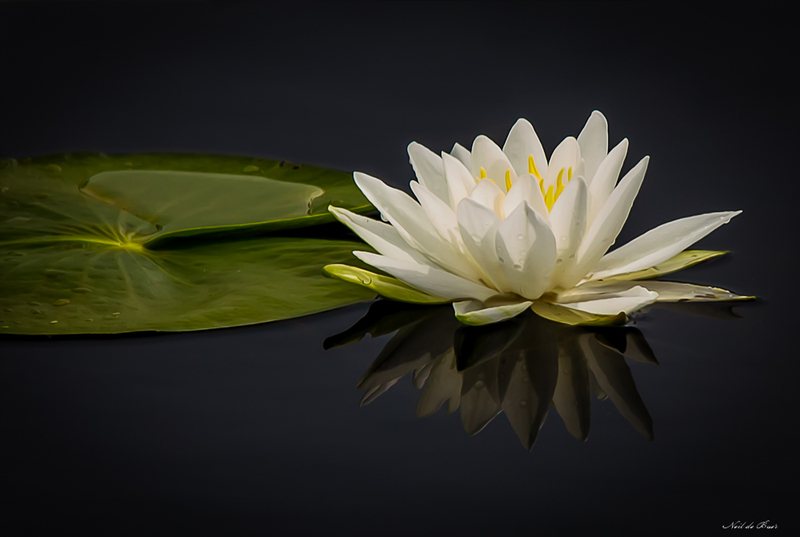 Here is another Water Lily taken at Point Pelee National Park on the Marsh Boardwalk trail. A little taste of summer during this cold winter here in Canada. 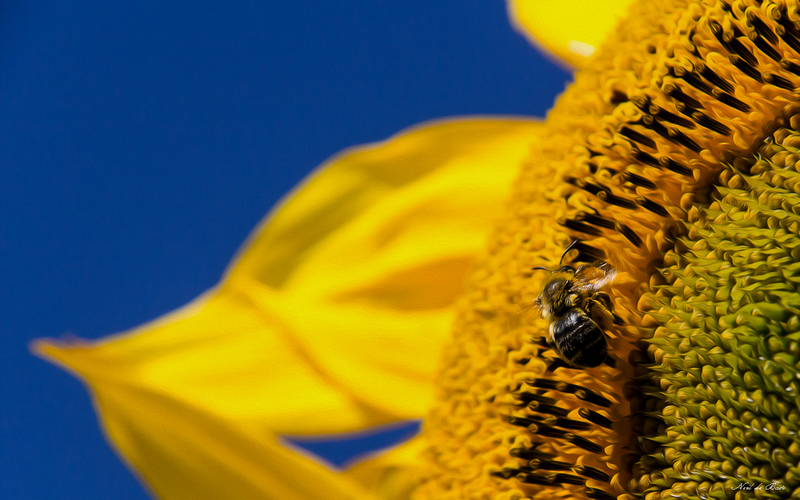 This little bee is hard at work making sure there will be a good crop of seeds. 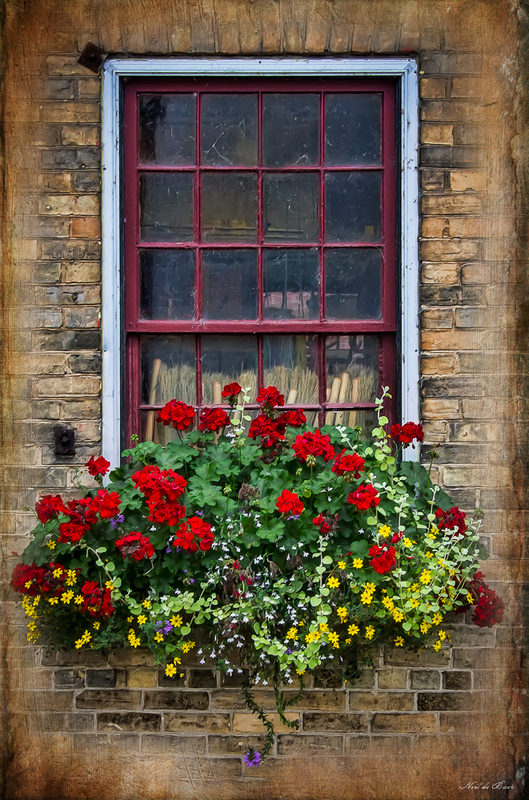 One of the many flower boxes to be found in St. Jacobs during the summer. Each one a work of art. 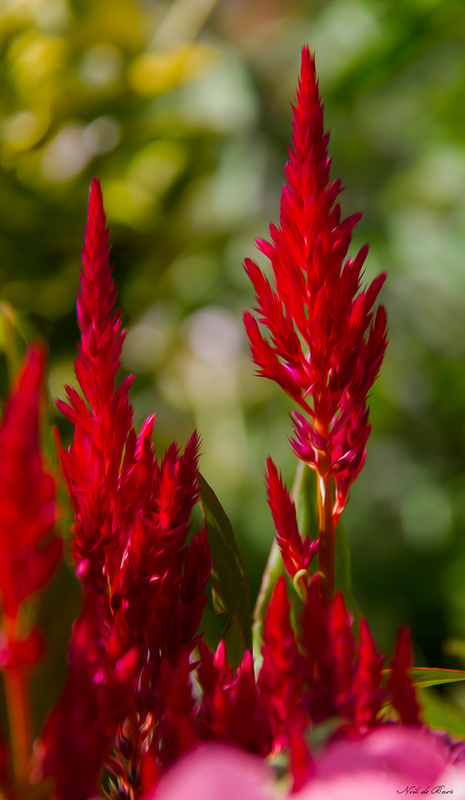 This is a Celosia and it gives a nice shot of red to any garden. 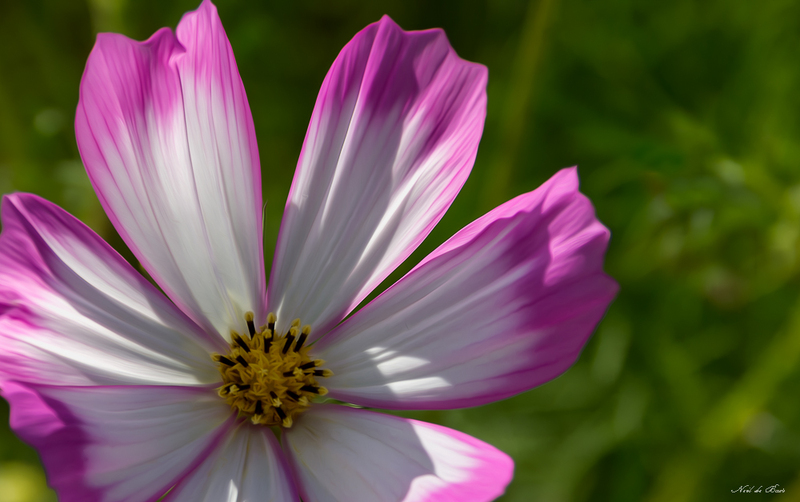 Came across this simple yet beautiful flower on a walk the other day. 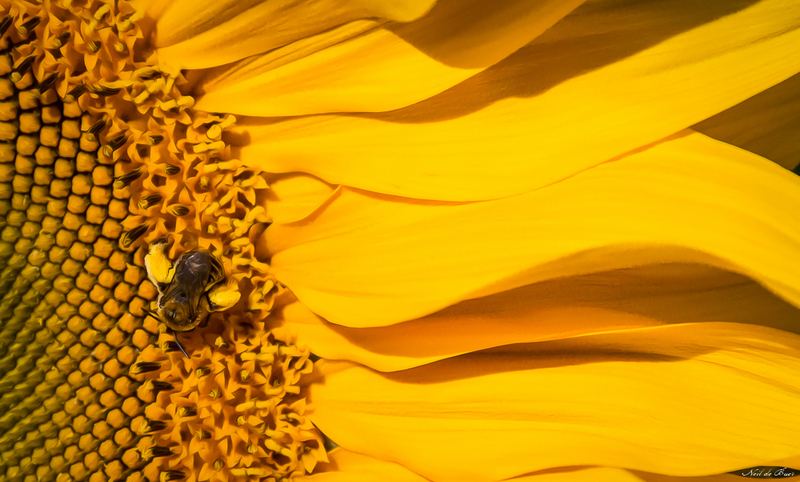 It seems to me the Sunflower and the Bee are made for each other. The yellow and black let the bee blend in so that they almost become one. Of course the one needs the other to survive. I took this while in Owen Sound to take pictures of the Tall Ships. These sunflowers were in planters along harbour. Remember to always keep your mind and your eyes open for any opportunity for a photograph. I must have looked a little strange taking pictures of flowers as everyone else was taking pictures of the ships! 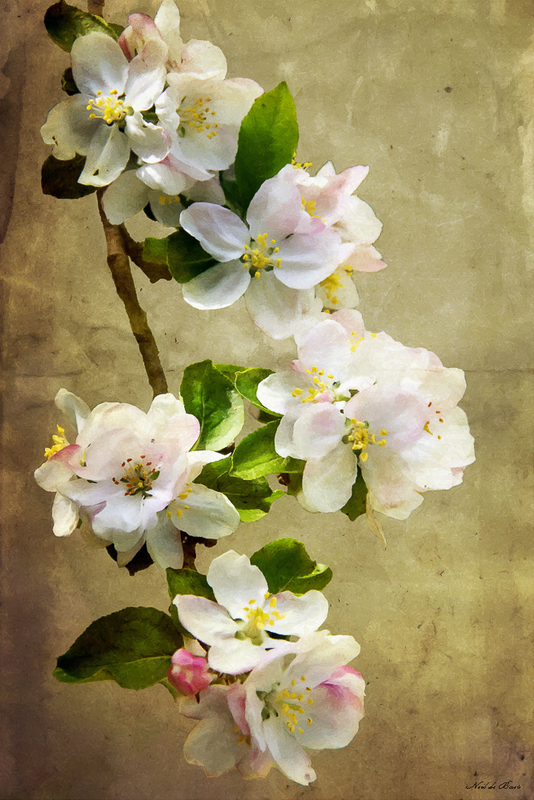 The apple blossoms are just fantastic this year. Last year we lost at least 80% of the apple crop in this area due to a very warm March followed by a frost when the blossoms came out. Looks like there will be a bumper crop this year! Processed with Lightroom, Photoshop, and FotoSketcher.